Here's the good news. 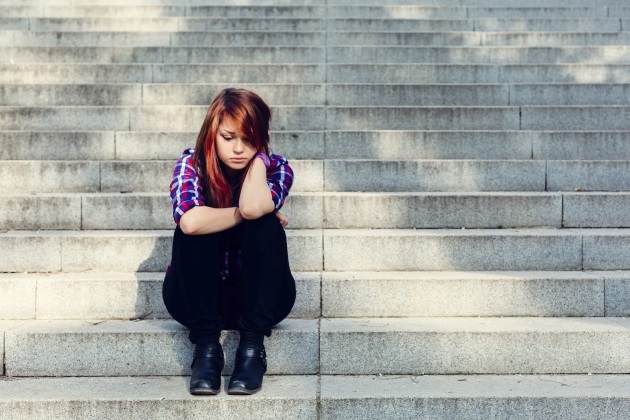 More young people are seeking care for mental health-related disorders than ever before. The bad news? These teens and adolescents are using emergency departments to access the help they need. But, according to an analysis published in the March 18 issue of JAMA Pediatrics, only 16 percent of young patients who sought care in an ED ever saw a mental health professional. The analysis identified a 28 percent increase in overall psych ED visits among patients ages 6 to 24 in the years between 2011 and 2015. Visits increased the most for teenagers at 54 percent while 53 percent more African-American youth and 91 percent more Hispanic patients sought care. ED visits related to suicide more than doubled among youth of all ethnicities during the study period. Compounding the situation, another study published in JAMA Pediatrics in February found one in six children in the U.S. has a treatable mental health disorder like anxiety, depression or attention-deficit/hyperactivity disorder (ADHD). Increased use of the ED for mental health care is emblematic of a larger societal problem, the first study's authors say. While the number of kids who need care is increasing, access to more appropriate channels for mental health care has not. Lead study author Luther Kalb, a researcher at the Kennedy Krieger Institute at Johns Hopkins University in Baltimore, told Reuters the current model of care isn't working and new ways of addressing mental health crises among young need people are needed. "While I am glad the ED is a 24/7 resource, there is a lack of psychiatric expertise in this setting," Kalb said. "Using the ED as psychiatric crisis center needs to change. We need to find new ways to get to people in times of need and where they are at, rather than rely on the ED." The study's researchers write that the emergency department is often the only option for youth patients experiencing acute suicidal ideations, aggression or psychosis. Young patients may also rely on EDs to treat chronic psych problems if they don't have access to a traditional mental health professional. But since many EDs physicians don't have the training required to treat chronic problems or acute psychosis, especially among pediatric patients, these young people fall through the cracks, never receiving the care they need. That's according to a JAMA Pediatrics commentary published in conjunction with Kalb's study. "A national perspective is vital because most emergency care for children in this country occurs in emergency departments with small pediatric volumes and limited pediatric resources. With suicide as the second leading cause of death for youth in the age group of 10 to 19 years, EDs are a critical link to screening, risk identification, and care," write the commentary's authors, Dr. Thomas H. Chun, Dr. Susan J. Duffy, and Dr. Jacqueline Grupp-Phelan, who practice at Hasbro Children’s Hospital in Rhode Island; and Benioff Children’s Hospital in San Francisco. The commentary authors go on to write that the reasons behind patients' reliance on the ED are complicated and roots in poverty, violence, substance abuse among children and parents, influence of social media, information overload, and a lack of mental health training and screening expertise among primary care providers. Chelsea Adams is a former newspaper journalist who made the leap to healthcare public relations and marketing where she worked for a decade. Chelsea has a bachelor's of social science and statistics in mass communications and a master's of business administration. She is a full-time freelance writer based in the Midwest.